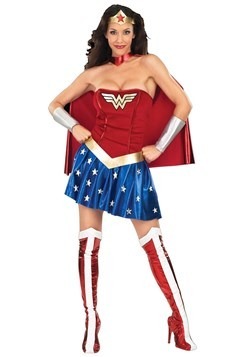 Now, you can have a godly transformation this Halloween when you grab this Deluxe Hippolyta Costume for women. 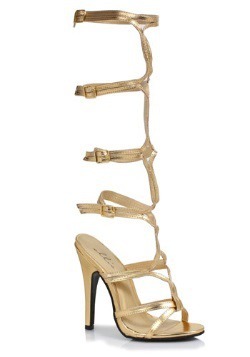 You won’t have to worry about going toe to toe with Ares this holiday season. No, the only thing you’ll need to worry about is showing off all those ancient Amazonian dance moves. Since you are the Queen, you will be expected to be able to flawlessly perform these amazing dances without breaking a sweat. So you may want to start studying up! The sleeveless dress has a hook and loop fastener at the back of the neck. The attached foam shoulder caps have elastic armbands to ensure a good fit. The skirt has 2 thigh-high slits. The included foam belt also has a hook and loop fastener at the back. The tiara is constructed of foam and has an elastic headband. The gauntlets are also made of foam and close with strips of hook and loop fasteners. 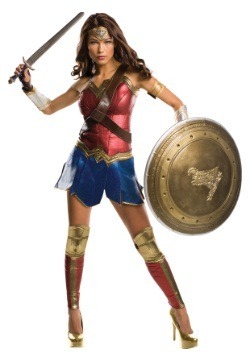 Become of the most important characters in the DC universe this Halloween with the Deluxe Hippolyta Costume. You’ll automatically have all the respect that a mother, a Queen, and a super-powered being deserves. Even Batman and Superman will greet you with a “Your Highness” or at the very least with a “Hello, Miss Wonder Woman’s Mom”!